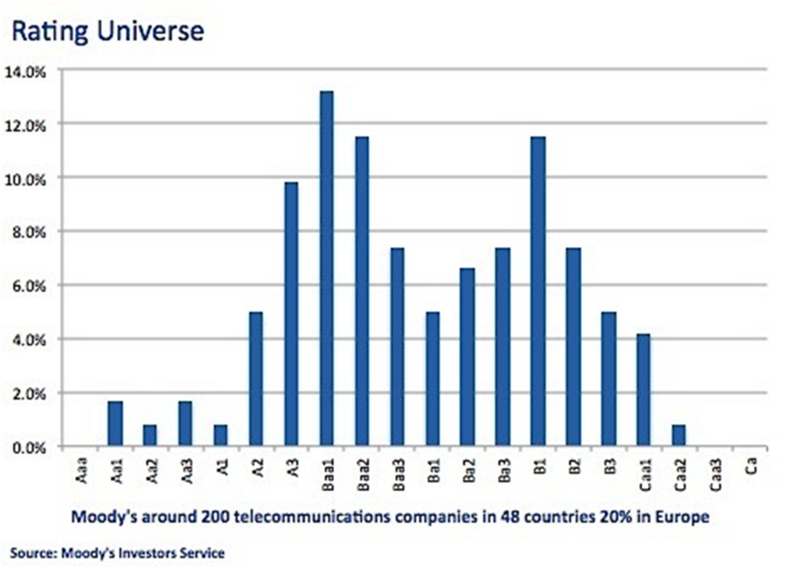 At a recent TMT conference I attended, a speaker from Moody’s characterized the target capital structure of investment-grade Telecom operators as a Net Debt-to-Ebitda ratio of between 2.0x and 3.0x. To remain within the target interval, firms need to balance their investments and payout policies with cash available from operations. A ratio above 3.0x negatively affects lenders’ attitudes, making debt more restrictive and expensive. A ratio below 2.0x raises shareholders’ concerns that cash might be wasted in imprudent acquisitions and value-destroying projects. As the figure below indicates, companies actively manage their finances in an effort to stay within the designated interval. By meeting shareholders’ remuneration expectations and their obligations to creditors, firms are able to keep key providers of capital pacified. Additional efforts to achieve the absolute optimal capital structure only translate into unnecessary and costly adjustments. Thus, the fact that firms do not rebalance capital structures frenetically does not mean that firms are inattentive. 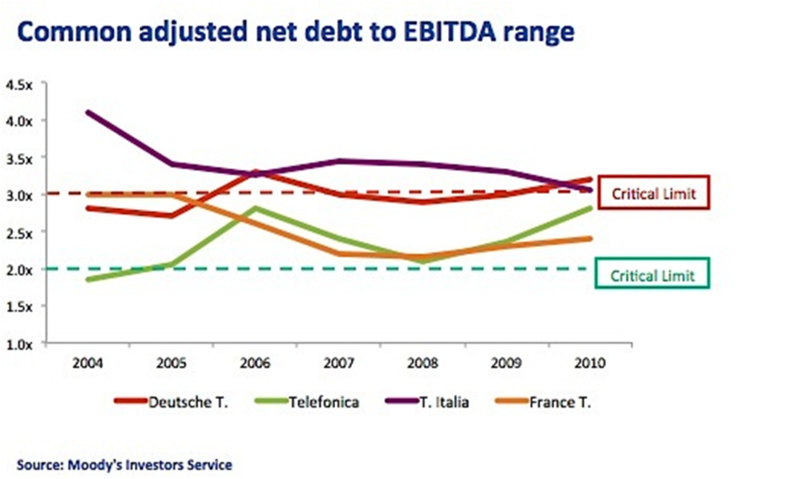 Rather, the apparent passiveness reveals a lack of concern with some variation as long as the Net Debt-to-Ebitda ratio stays within the target range. 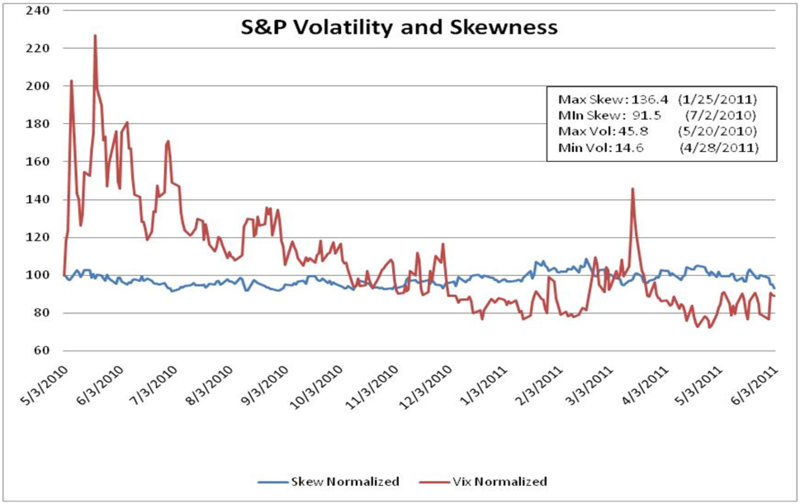 But when the ratio approaches the critical limits, firms tend to become sensitive and act to correct deviations. Market conditions then determine whether these corrections happen quickly or slowly. Moody’s includes operating leases and pension liabilities in gross debt. 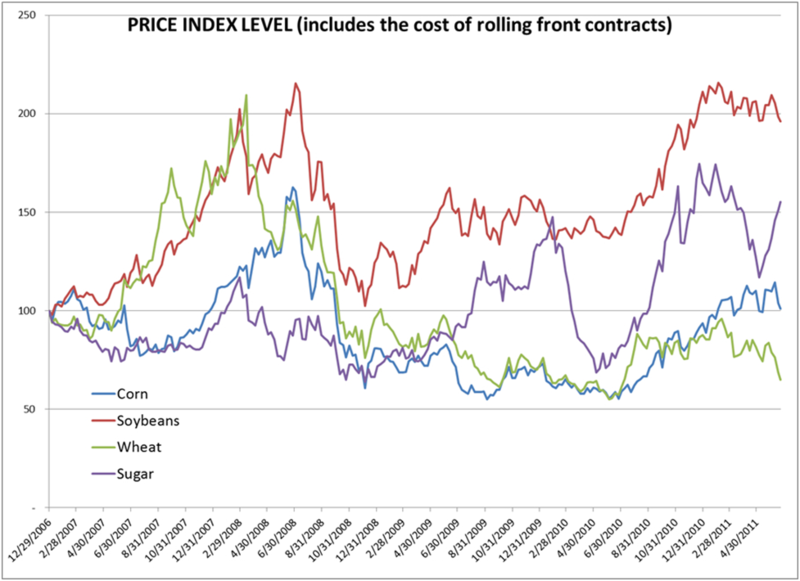 The World Bank this past week announced the creation of The Agriculture Price Risk Management (APRM) tool, jointly offered by the IFC, the World Bank Group’s private sector arm, and J.P. Morgan. The IFC and J.P. Morgan will each commit approximately $200 million in guarantees and letters of credit to enhance the collateral required from farmers, food processors and consumers in developing countries, to enable these groups to trade derivatives that hedge the price of commodities such as corn, wheat, soybean, rice, sugar, cocoa, milk and live cattle. There has been renewed discussion and debate again about the impact of speculators in the oil market. Some of it has been occasioned by recent enforcement actions against illegal activity. In May, the US Commodity Futures Trading Commission (CFTC) filed civil charges against Parnon Energy, Arcadia Petroleum and Arcadia Energy SA as well as two individuals for manipulating the price of crude oil in 2008. The US Federal Trade Commission this week confirmed it had opened an investigation examining whether oil companies, refiners or traders had manipulated crude oil prices. The InterContinental Exchange this week fined Goldman Sachs for “disorderly trading” in crude oil futures which distorted prices. In an earlier post by the same title, I described the near default event in the PJM electricity market in 2008 that occasioned new regulatory action by the Federal Energy Regulatory Commission (FERC). The FERC’s actions are designed to reduce systemic risk in the electricity marketplace. Of course, systemic risk is a hot topic these days, and the focus is on banks and derivatives markets. The example of FERC and the electricity market is another interesting case that can be used to illuminate the economic issues that ought to be central to shaping policy. Can regulation reduce systemic risk? If so, how? Carolyn Cui and Liam Pleven at the Wall Street Journal have a nice piece today on the competition between gold ETFs and gold mining companies for the investment dollars of gold bugs. Share prices of gold-producing companies have lagged the huge run-up in the price of gold, as well as the broad stock market, for years. Investors, instead, have poured billions of dollars into exchange-traded funds backed by actual bullion, believing that would provide purer exposure to gold prices and avoid unrelated stock-market risk. In April, the Denver company introduced a “gold-price-linked dividend,” promising an increase of 20 cents a share in its annual payout for every $100-an-ounce rise in gold prices. Newmont receives about $300 million in additional cash after taxes for every $100 increase in gold prices, Mr. O’Brien said. Based on current gold prices, the company is expected to declare a 25 cent quarterly dividend in July, a 25% rise from April’s. The promised payouts, although still small compared with traditional big dividend payers such as utilities or health-care providers, are aimed at setting gold stocks apart from bullion or gold ETFs. I say the mining companies should stop trying to battle the tide and instead declare good riddance. 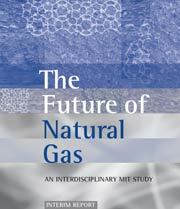 Today is the official release event for the MIT study on the Future of Natural Gas. It’s a wide ranging study examining the role of natural gas in meeting future energy demand under carbon dioxide emissions constraints, and recommending appropriate policies–both for the US government and for industry. I was a member of the study group producing the study. I’ll let the full length study speak for itself on the many different issues it addresses. I want to use this blog post to expand on one specific point which is the huge uncertainties we face in charting any path forward as manifested in the fluctuating price of natural gas. The term Black Swan has gained popularity of late, largely due to the enormous success of Hollywood’s recent thriller of the same name. The Black Swans we discuss in this article, however, are more unpopular, involving neither ballet, nor popcorn, nor – most importantly – any synopsis of what we are about to experience. These are rare events with dramatic consequences, and extremly difficult to predict. In this post, we will look at several key indicators of looming financial disaster to determine whether we can predict a would-be Black Swan Event. Students rarely remember “skewness” after a Statistics course. The measure captures how asymmetric the probability distribution of a random variable is. A left skewed distribution indicates that the tail on the left side is longer than the tail on the right side; even if most outcomes are above the mean, low outcomes can be much larger than high outcomes.